Moving Dynafit bindings from one ski to another often requires a brake change to accommodate the new width. Brakes can also get damaged. Please note ► "Some of the Dynafit brakes listed below the line" are priced individually so you will need two in the former case or one if replacing damage. The brakes have a few millimeters of wiggle room, so a 100mm brake will work on a ski slightly over 100mm in underfoot width. Superlite 2.0 75mm x2 - Removable TLT Superlite 2.0 brakes, in a 75mm width for skinny skis. Superlite 2.0 90mm x2 - 90mm all-around version of the new cool Superlite brakes. 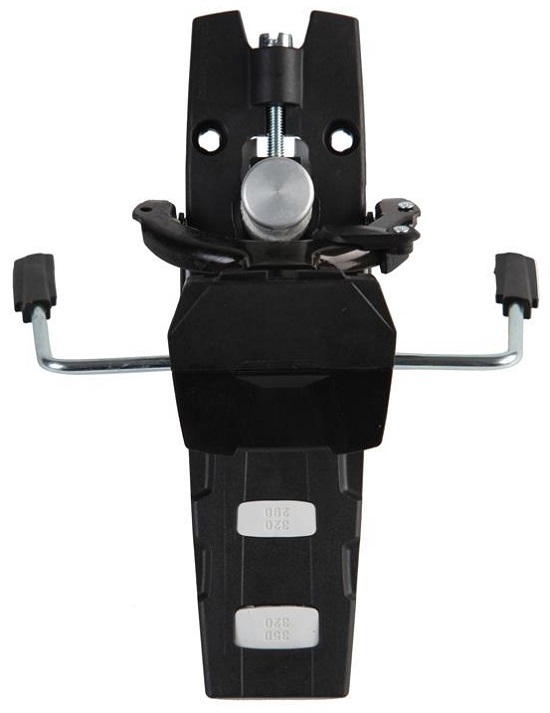 Superlite 2.0 105mm x2 - The widest brake available for the Superlite 2.0, for those powder skis. 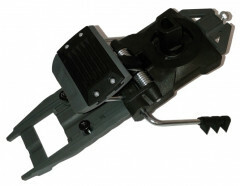 Speed Brake 75mm x2 - Narrowest removable 75mm brakes for Speed/Speedfit binding. Speed Brake 90mm x2 - Medium-est removable 90mm brakes for Speed/Speedfit binding. Speed Brake 105mm x2 - Widest removable 105mm brakes for Speed/Speedfit binding. BELOW LISTED ARE SOLD AS ONE BRAKE ONLY (x1), IF TWO NEEDED, THEN CHANGE ORDER QTY TO " 2 ". 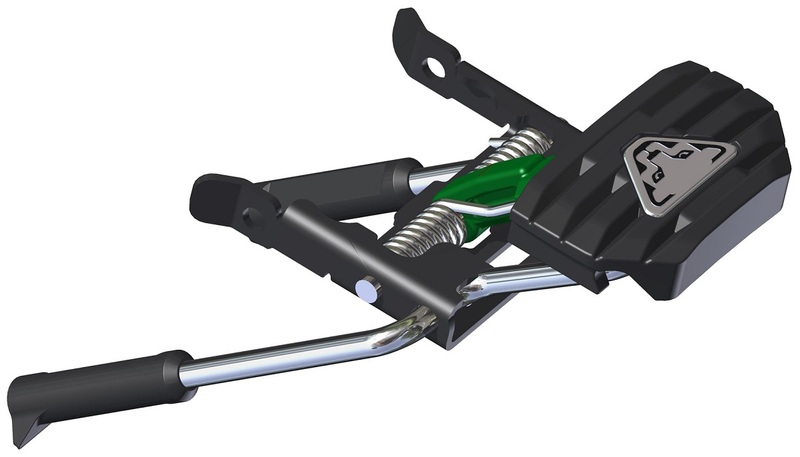 Radical 2.0 90mm w/ Baseplate x1 - Radical 2.0 brakes are integrated into the base plates, requiring a remount to replace. 75mm-95mm skis. Radical 2.0 105mm w/ Baseplate x1 - 105mm version of the 2.0 brakes, which work for 90-110mm wide skis. Radical 2.0 120mm w/ Baseplate x1 - More Rad 2 brakes, fitting wider skis from 105mm to 120mm underfoot. Radical 2.0 135mm w/ Baseplate x1 - Phatties! These are for 120mm and wider skis. Lotus, Spoon, etc. Radical ST 92mm w/ Baseplate x1 - Radical series brakes are integrated into the base plate, so you need the whole thing. Radical ST 100mm w/ Baseplate x1 - Requires un-mounting the old base plate and re-mounting the new. Same screw holes at least. Radical ST 110mm w/ Baseplate x1 - ~112mm Radical brakes that all come with anti-friction plates to make lateral release fluid. Radical ST 130mm w/ Baseplate x1 - Fits wider-than-necessary skis! Up to about 132mm underfoot. Radical ST 130mm Rental x1 - 130mm brake with a huge 60mm BSL adjustment range. Radical FT 110mm w/ Baseplate x1 - Brakes for the FT also are integrated into a baseplate, these are ~112mm wide. Radical FT 130mm w/ Baseplate x1 - You can deduce what these are from the repetitive descriptions above. Vertical ST 92mm x1 - Mud colored 92 millimeter wide brakes that also work with older Comfort series bindings. Vertical ST 100mm x1 - The standard Vertical/Comfort brakes in a ~102mm width, also dirty brown. Hi Frank, yes those are the same brakes. We can walk you through the installation after an order, give us a call. I have an old pair of TLT Vertical ST bindings that I mounted on Dynastar Cham 97. Will the Vertical ST 100mm brakes work for that binding and would I need a new base plate? Hi Doug, those are the ones, yes! They should slide right onto your baseplates. I have a set of older Mt. Baker skis (which I love) with Dynafit Vertical ST bindings. I'm planning to do a trip to the Haute Route in Europe, and they want me to have brakes (they don't have brakes currently). So, my questions are: is it just a matter of getting these ski brakes and installing them (or having them installed by somebody)? Is there something I need to check before ordering the brakes? Hi Jorge, the Vertical ST brakes found here will fit right on! Give us a shout if you need help installing. I have the 2016 model of the TLT Radical ST Ski Bindings, but I have the wrong brake size for my skis. Will the Radical ST's listed here work? Hi Forbes, yes they will! Remember they are sold individually so it sounds like you should order a pair (qty 2). I apologize in advance for a potentially repetitive question, but I want to make sure I'm clear on everything! I (like a few before me) am trying to get a narrower pair of brakes for the Radical ST 2.0's... I understand that the ST Rotation brakes are compatible BUT you're out of stock for the season. Would the older 'Radical ST 110mm' brakes work, or are they incompatible? Thank you! Another question! 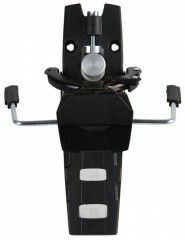 In your opinion, would the 135mm brakes be annoying to use if mounted on a 106 underfoot ski? There's definitely some psychic angst in not having the right fit, but if the narrower brakes are impossible to find I'm fine with putting up with elephant-ears brakes for the foreseeable future... thank you for your helpful responses! Garth- All Radical 2.0 and Rotation brakes are interchangeable. 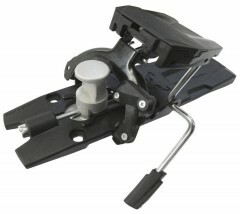 All other Dynafit bindings will have a different brake and not be compatible with each other. 135mm brakes will stick out a fair amount past your skis edges. If you dont mind the possibility of catching them together while walking than you could use them. Hi there, I have a pair of Dynafit Radical 2s with 120mm brakes and I'm looking to downsize to a pair of 92mm skis. Do you have anything in stock that would work for this? If not, do you know when you will? Dylan- Everything we have is listed in the above drop down menu. There are no more of these brakes at Dynafit as of now. My guess is we will not see more until next season. I recently purchased some TLT radical ST 2.0 bindings and I need to downsize from a 135 mm brake to a 105ish brake, what are my options? From reading the above questions and answers, it sounds like the 105 ST rotation brakes will work? 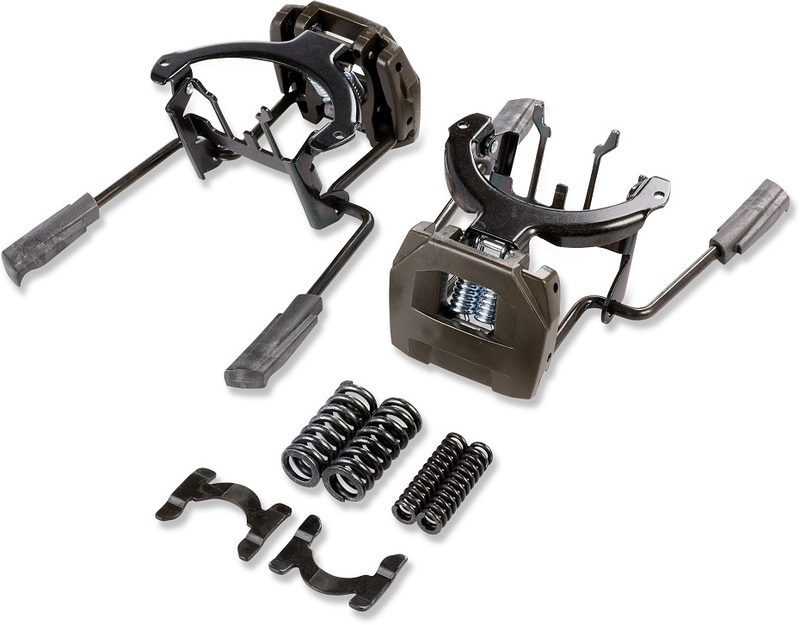 I am wondering if you have 120 mm brakes for Dynafit TLT Radical FT 2.0 bindings? I only need the brake piece. I have the bindings and want to put them on a fatter ski. I do not see 120 mm width on the website. Thanks for the help. Hi Tim, those brakes have been discontinued but the ST Rotation brakes are compatible. We have those in a 120, remember you may need two! do you have on stock any Radical 2.0 105mm w/ Baseplate ? I cannot find it in the list? Hi Pierre, that model has been discontinued but the ST Rotation brakes are compatible. 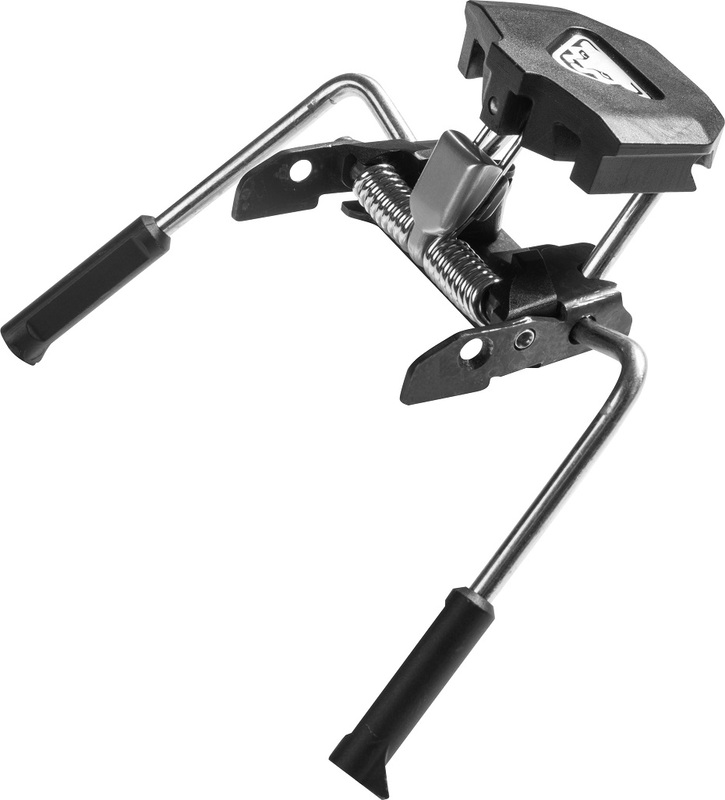 Would a Radical 2.0 ST heel work on a Rotation brake baseplate? If not, do you have any idea as to when either 90 or 105 Radical 2.0 ST baseplates will be restocked? Hi Ben, yes the Rotation and Radical 2.0 baseplates are cross compatible. Hey Charlie! Not really, there are some structural and geometric differences between the brakes that makes them specific to that exact model. 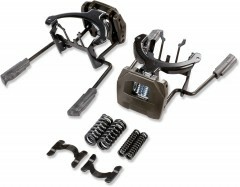 Best bet is going to be to purchase a Radical FT or ST 100mm baseplate that includes the brakes. Do Radical ST and FT have the same brakes/baseplate? I need a narrower brake for an FT, something in the 90mm range. Can I use ST brakes? Hey Steve! Structurally, the baseplates are identical and there are a few small cosmetic differences. You can definitely use an ST, but just know that it won't have the huge carbon support thing that the FT uses to bridge the gap between the toe and the heel. Should be perfectly compatible though. I need only the metal plate that sits on top of the stopper when mounted (it is seen at the bottom of picture 3). Do you sell this separately? If not, is it included if I buy the full stopper set? Hey Alexander! This is the metal "H" clip that you are looking for, correct? If so, one h clip is included with each individual brake when purchased new. Hello, will your Beast 105mm work on my Beast 14 binding? Thanks. Hey John! We haven't ever carried that binding, but as far as I know, they should work. I think the heel piece is the same between the various Beast bindings, so it should be fine. Skis are 112 underfoot, Dynafit brake options are 105 or 120, can the 105 be bent to fit? Hey Chris! They probably could, but I think standard industry advice would be to go with the 120mm option. Can the new generation of dynafit brakes (for TLT Speed and/or Superlight 2.0) be added after thr binding is already mounted? Hey Lee! Yes, both can be installed/removed after mounting. So I'm not totally sure if I messed up or not. I have a set of dynamite TLT radical FT 2.0 bindings with 135mm brakes (that I picked up last spring for cheap), but the skis I want to put them on are voile v6 163s with a 96mm waist for my wife. Can I get brakes for these? Do you have them? Hey Dave! We have more of those brakes on the way and they should be here soon-ish actually. I think the options are 90 or 105mm. Want me to put your email address down so you get a notification when they arrive? Hi, do you have any "Radical 2.0 90mm w/ Baseplate" stock incoming? And could I get on that email notification list if so? Thanks! A.D. We are still waiting on some of our parts for the season. I did put your name on the notifications list for a set of those brakes. Just ordered tlt speedfits. Ski underfoot is 110. Will the 105 have enough wiggle room? Johnno, There is some wiggle room on most brakes. The big thing is if the side wall is square at the top sheet there is less wiggle room. If the side wall tapers at all you should be fine.